Shakespeare in Stratford, Prince Edward Island « ACT (a community theatre) presents Shakespeare in the park. ACT (a community theatre) presents Shakespeare in the park. If you’ve been following this blog, you know I am heavily involved in a local amateur theatre group called ACT (a community theatre.) For the past few years – when I’m not already involved producing, or doing props or working front-of-house – I’ve been called upon to photograph shows – rehearsals, head shots for the programme, and the dress rehearsal. ACT (a community theatre) will host a reading of Shakespeare’s HAMLET on Monday, March 16, 2015, at 6:30 p.m. in the Southport Room of the Stratford Town Centre, 234 Shakespeare Drive, Stratford. Those attending will be invited to take turns reading various parts from the shortened script which will be used in ACT’s late summer production. 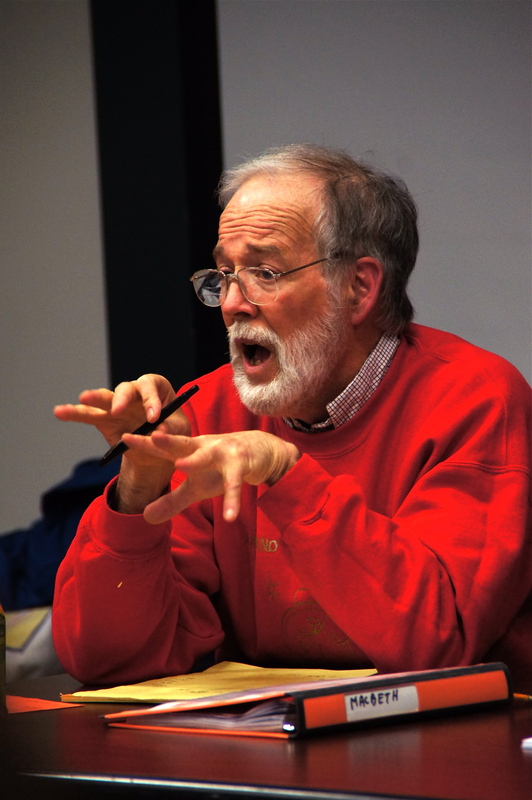 The director of the show, Terry Pratt, adapted the script to better meet the challenges of staging the play’s scenes in various locations around Robert Cotton Park. Pratt will be present at the reading to explain his vision for the show, and to coach readers on delivering the Bard’s lines. 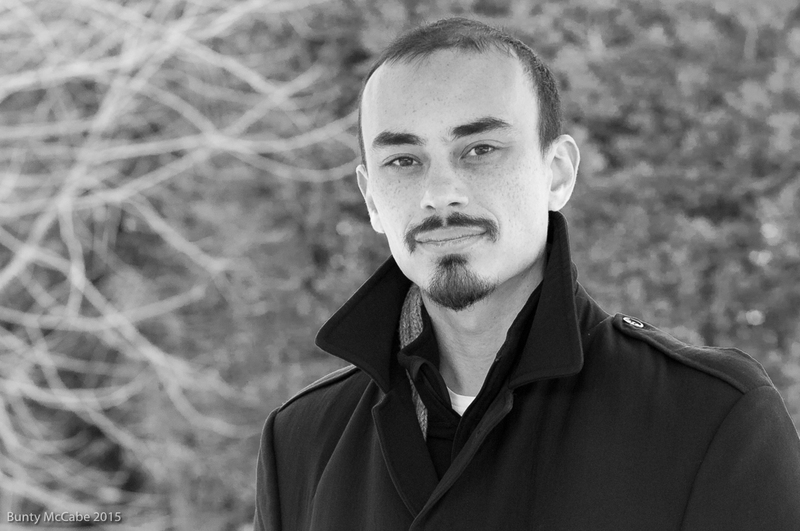 Also attending will be Noah Nazim,who has been cast as Hamlet. Other auditions will be held at the end of March. Admission to Read-along Hamlet is $2 to cover the cost of copying scripts and is free for ACT members. ACT memberships will be available at the door, as will more information about the upcoming production. Hamlet will be staged at 4:00 pm on August 28 and 29 and September 5-7, 2015. For further information on the reading, or on the upcoming production, contact the producer, Bunty Albert: bunty1948@gmail.com. or leave a comment on this blog. 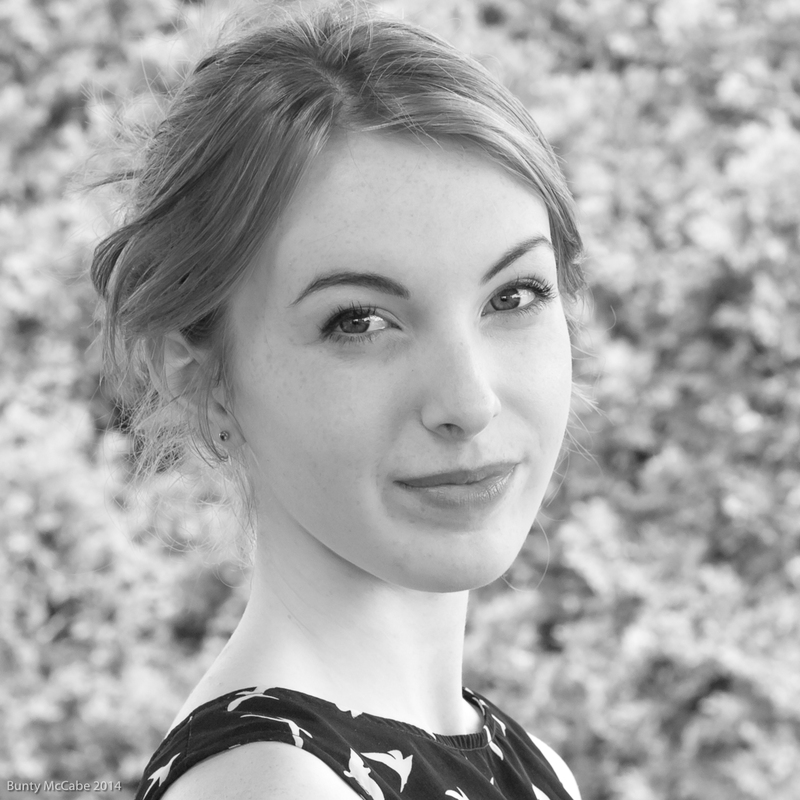 Blog post written by Shannon Murray, publicist for our production of Macbeth. 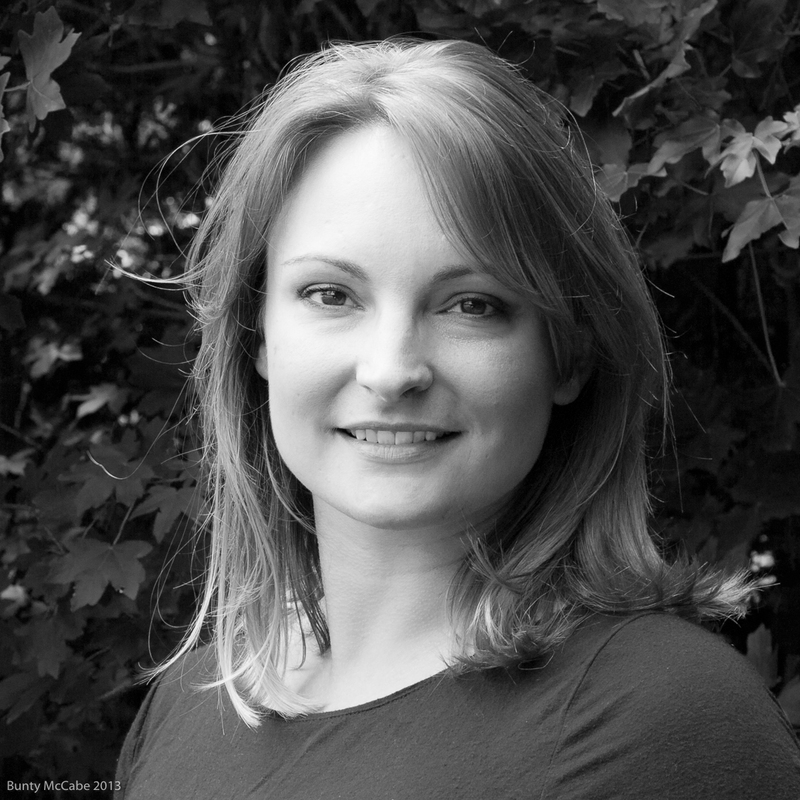 Shannon is a Professor is the faculty of English Language and Literature at the University of Prince Edward Island. 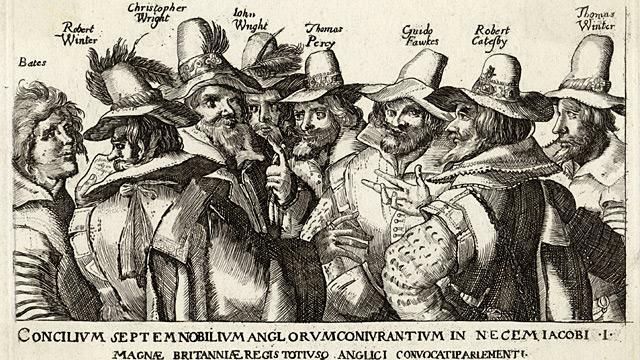 The Gunpowder Plot’s characters. From BBC Website. The story of which Macbeth is based was not recent history for Shakespeare. The King Macbeth of legend was to have lived in the 11thcentury, but Shakespeare may have been alluding throughout the play to one of the most notorious events of his own time: the foiled Gunpowder Plot of 1605. That plot involved a conspiracy of Roman Catholic supporters who managed to tunnel under the Palace of Westminister (now the English Houses of Parliament) and plant an impressive cache of explosives before they were discovered just a day before the planned explosion. Their target was King James (the 1st of England and 6th of Scotland). James, by the way, believed himself to be descended of Banquo, and he also loved the theatre (but preferred short plays) and believed and wrote about the dangers of witchcraft, so this play was right up his royal alley. As you can imagine, the discovery of the plot before the attack could happen was heralded as a delivery by God; even to this day, children across England – as I did when I was a little (Catholic!) girl in London – celebrate the day by carrying stuffed “Guys” from door to door demanding “a penny for the guy.” (Well, when I was a kid, it was already “a sixpence for the guy,” so I imagine it’s now a pound.) At the end of the night all the “Guys” are thrown on massive bonfires to celebrate – even 400 years later – what would have been Renaissance England’s 9/11. The “Guy” the children are talking about is Guy Fawkes, one of the conspirators and focus of sensational trials that were the talk of England for years after. Tried along with Guy Fawkes was Father Garnet, a Jesuit priest who was especially noted for his ability to answer a question from his inquisitors with equivocation. To “equivocate” means to speak doubly, to say one thing and have it taken two ways, or even to speak in a way that will be deliberately misunderstood. Garnet would not lie, but neither would he speak plainly. either scale, who committed treason enough for God’s sake, yet could not equivocate to heaven,” Shakespeare’s contemporary audience would get the reference: he’s talking about Father Garnet. That event was as familiar and fresh for them as 9/11 would have been for New Yorkers. But of course, that’s not the only example of equivocation: the whole play depends on those great equivocators, the three weird sisters, who can speak the truth and lie at the same time. It is true that Macbeth will be safe until Birnam Wood comes to Dunsinane, but Macbeth thinks that’s a good thing for him: the witches know it isn’t. And throughout the play, what one speaks and what one means are not the same. The play explores political equivocation. 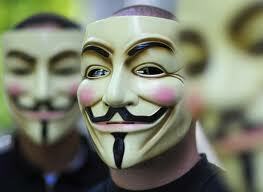 Of course, more recently Guy Fawkes has been resurfacing as the face of “Anonymous” and of the Occupy movement. I wonder what Shakespeare – and the Porter – would have made of that. While (I suppose) you can stage a show that features actors on a black empty stage and depends entirely on dialogue and emotion, it would be pretty boring. One of my favourite aspects of producing a show is finding and creating props: it demands creativity, thinking outside the box, and if you’re an amateur group, borrowing, scrounging and making do. So what props does Macbeth need? Well, for starters, there are numerous battles, murders, and fights, so there must be weapons, shields, knives and blood (about which more later.) 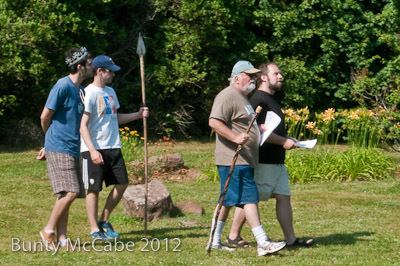 This production of Macbeth has been fortunate to have a connection to an expert on period weapons and fighting techniques so we have weapons ranging from pikes and daggers to broad axes and bows. One of the highlights of the show will be a sword fight between Macduff and Macbeth in the final scene. There is a banquet scene in the play that demands formality – but we’re playing this out of doors. Four picnic tables have been brought in to join the one in the park and each will be fitted out with a tablecloth, pewter or clay vessels, and baskets and bowls of food. And, because this play is being staged to encourage audience participation, 24 attendees at each show will sit at four of the picnic tables and drink something potable while Banquo’s ghost haunts Macbeth. Later in the show the audience will pick up tree branches to carry Birnam Wood to Dunsinane. It is the props team’s job to get enough tree branches for an audience of 100 to join the cast in the march on Macbeth’s castle. One of the more challenging aspects of props for this show are the ingredients for the witches’ cauldron, not to mention the cauldron itself. It is a credit to the director that this scene, which could easily descend to farce, will not. We’re still looking for some items: anyone out there have a wolf’s tooth or a shark’s stomach? Earlier I mentioned blood. One person has taken on the task of coming up with several recipes for blood: blood for the battle casualties (which can be left in from one show to the next), blood for daggers and hands, and blood for clothes that will need to be cleaned. Experiments are proceeding with poster paint, finger paints, cocoa, peanut butter, dish soap, but not corn syrup (a component of many recipes) as this may attract ants and would require thorough cleaning between shows. When you watch the show, you will hardly be conscious of the hundreds of props, but without them, many a scene would not unfold with such drama and realism. 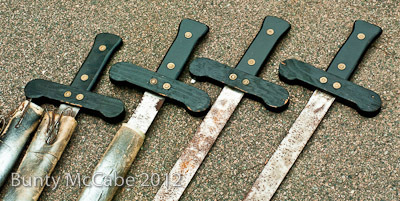 Swords from an earlier ACT play will be cleaned up and reused in Macbeth. These are the opening words of Macbeth, spoken by a witch. The idea strikes terror in the heart of a producer of an outdoor performance. Performance nights are September 6-8 and 13-15, and it is hurricane season on the eastern seaboard. While few hurricanes have hit Prince Edward Island directly, Juan, the most severe in decades, touched down on September 29, 2003. Irene sent a day of heavy rain followed by a day of high winds to the Maritimes on August 28 and 29 last year; I know, I was driving my motorcycle through it! We have made allowances for thunder, lightning or a hurricane. 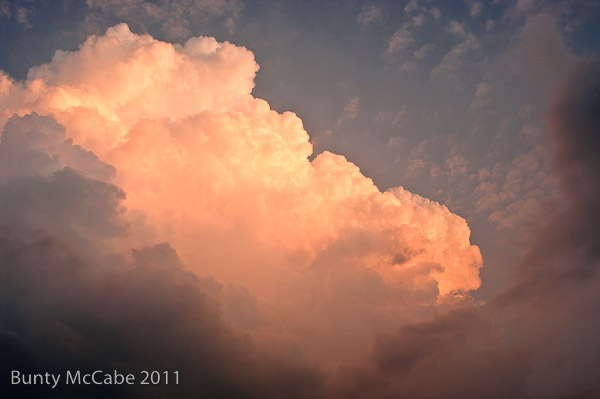 We have scheduled two “storm dates” on the Sundays, September 9 and 16. Should a show be cancelled, there will be posts on this blog and announcements on local radio stations. In case of light rain, wear rain gear and waterproof shoes. We will not be cancelling a show for rain alone. But pity the poor costume crew who will be drying and cleaning costumes before the next show! Wind is a fact of life on PEI, so there will be no cancellations for wind alone. The actors are already aware that they have to use their “outdoor voices” for this show and speak over inattentive audience members (surely not! ), traffic noise (this is an urban park), or the wind. The director has also ensured that characters will be heard, by casting Docents who will lead the audience to positions where they will be best able to see the action and hear the play. “It will be rain to-night,” is Banquo’s last line, before he is assaulted and (plot spoiler…) murdered. It is not one of Shakespeare’s more memorable lines, but surely often quoted. Just not on show nights, please. Thanks to Shannon and Richard for suggesting quotes. Written by Bunty, the producer. 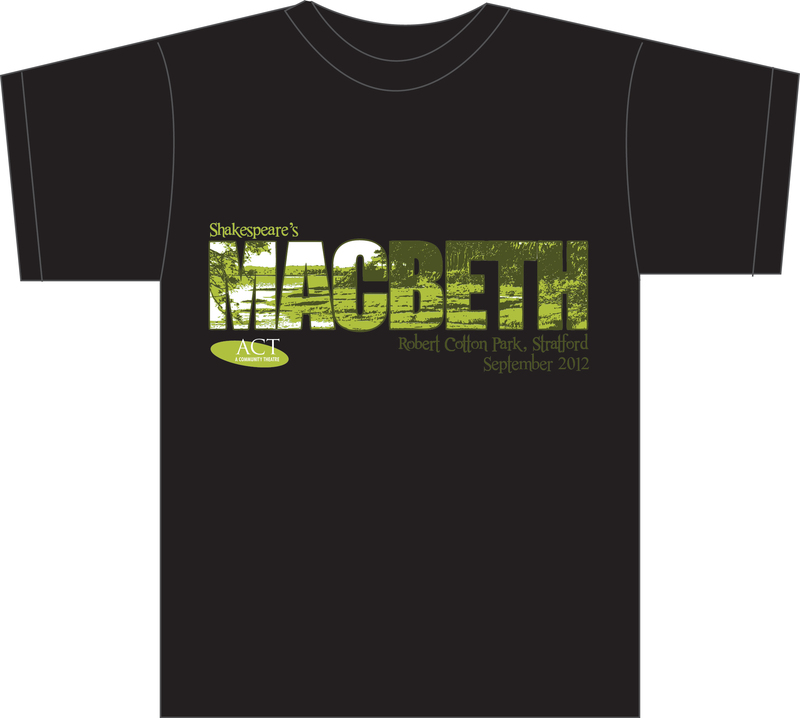 Help us advertise Macbeth in Cotton Park, Stratford. ACT (a community theatre) often has T-shirts printed of its shows. Why? First, they’re great souvenirs for cast and crew. Second, if the producer does it early enough, they are effective mobile advertising posters. The director and producer encourage those who have them to wear them as often as they can, and show them off to friends and the curious. Third, a producer can make a tiny bit of extra money for the show. If you look at an earlier posting on this blog, you will find the poster we will be using for advertising Macbeth. Our talented graphic designer, Christina, took the poster and adapted it for three colour printing on black apparel. The result is what you see here, though the green type in the lower right will be a brighter green. We will be ordering short sleeved T-shirts, long-sleeved T-shirts and sweatshirts. To ensure a commitment to paying for the shirt when it comes in, we ask for a $10 deposit. The final cost of the shirts will be, respectively, in the range of $12, $15 and $20. We round the price up to the nearest dollar and the spare change goes into the production’s revenue. This time we will be ordering a few extra T-shirts in a range of sizes for sale to the general public. Are you interested? If so, but want to guarantee a shirt of the type and in the size you want, you have to act fast. The size charts are below. Women’s T shirts have a narrower sleeve and a shorter length but are the same width under the arms. To pre-order a shirt, just post a comment on the blog by midnight Sunday, July 22, and I’ll get back in touch with you on Monday morning. 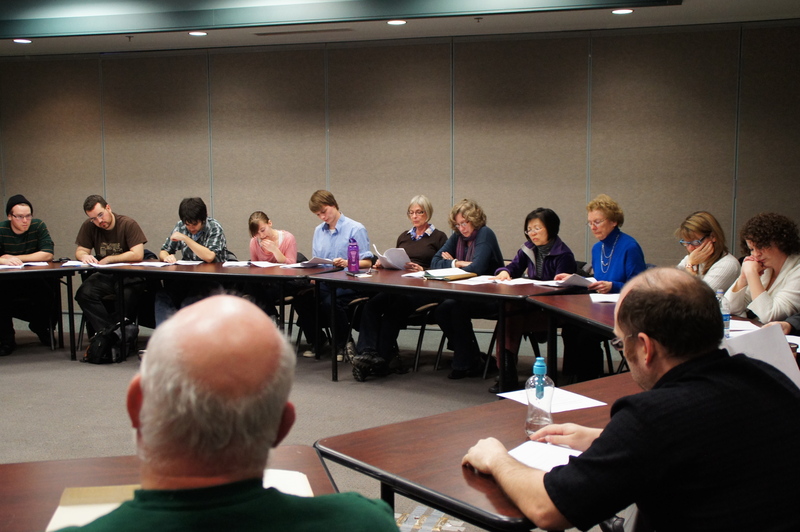 ACT (a community theatre) often offers its members and the general public a venue for reading a play. We’ve held them in the back room of a pub, and around a table in the local volunteer centre, among other places. The people who attend take turns playing a role, and the moderator switches the readers and roles every so often to keep it interesting for everyone. About 35 people attended, many of whom would later audition – even though the reading was not an audition. Before the reading started, we took memberships in ACT (not a requirement of attending), collected names and emails, and handed out copies of the revised script. We set the room up into a huge circle of tables and chairs. To start the evening, the producer explained the timing and venue of the upcoming production (see the ABOUT page of this blog), the director introduced the changes he had made to the play to suit the outdoor venue, and two professors from the University of Prince Edward Island spoke about Macbeth and the reading of Shakespeare’s texts. 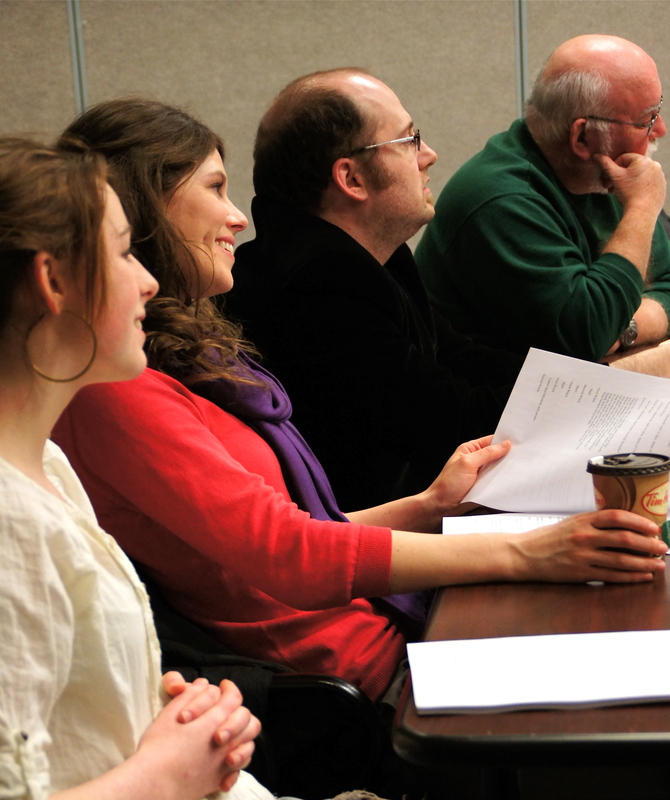 The reading allowed the director to gauge how long it would take to present the revised text, and it allowed the production team to get contact information, not just for auditions but for other volunteer tasks. A great time was had by all, and folks willingly pitched in to reset the room as we had found it. ACT (a community theatre) ACT’s web site with photos and stories of previous plays, announcements and more information about the club. ACT Facebook Group Support ACT and find out more about our activities and productions, including Hamlet.